Nutanix Beam > new stuff from Nutanix, to simplify Multi Cloud optimization & management with intelligent consumption planning, so you will have better Cloud control (Nutanix – AWS & Azure)! Nutanix Flow > SDN – Software Defined Networking solution, go beyond Micro-segmentation with Nutanix & Netsil (acquired by Nutanix) supported from AOS 6.5 released in April. Nutanix Era > Databases made simple with 1 Click database Clone/Refresh, Database provisioning and Life Cycle Management (LCM) so you will be able to start with Copy Data Management, initially support for Oracle and Postgres databases … and will be expanded over the time to include MS SQL Server and MySQL. Nutanix X-Ray > Nutanix is going Open Source with this automation test platform and as latest version will support MS Hyper-V & Storage Spaces. Nutanix Calm > Apps Automation & Multi Cloud Management (AWS, Azure & Google Cloud Platform GCP). Acropolis File Services (AFS) > support for NFS v4 and much more on API. Acropolis AOSS (Object Storage Services) – new stuff and for more info check it here. We will see what’s NEXT in the Nutanix NEXT Conference 2018 EU in London … check and register if you want to attend & see you there! This entry was posted in Cloud, General, HCI, HybridCloud, NEXTConf, Nutanix, NutanixNTC, Tech Events, vCommunity, Virtualization on 14/05/2018 by Dukagjin Maloku. This week is going to be the Nutanix week with its annual event in the US as Nutanix NEXT Conference 2018. Nutanix – is the pioneer company in the HyperConvergence but they don’t stop only on it, they are going and moving forward with Cloud as well so they are future Cloud company with lot of the super features for the modern Data Centers. 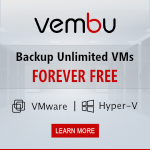 This entry was posted in Cloud, General, Nutanix, NutanixNTC, Tech Events, Virtualization on 07/05/2018 by Dukagjin Maloku. I’m honored to be awarded again for the 2nd time in row as Nutanix Technology Champion NTC 2018. This is very great community group with lot of the activities and benefits talking about the Nutanix Technology. 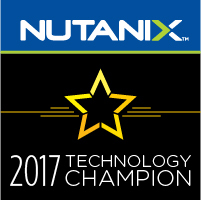 Nutanix NTC – “This group of champions are IT professionals from every cloud, application and technology group. Their diverse backgrounds, experiences, and expertise help their organizations and the virtualization community achieve more…” – proud to be part of it! 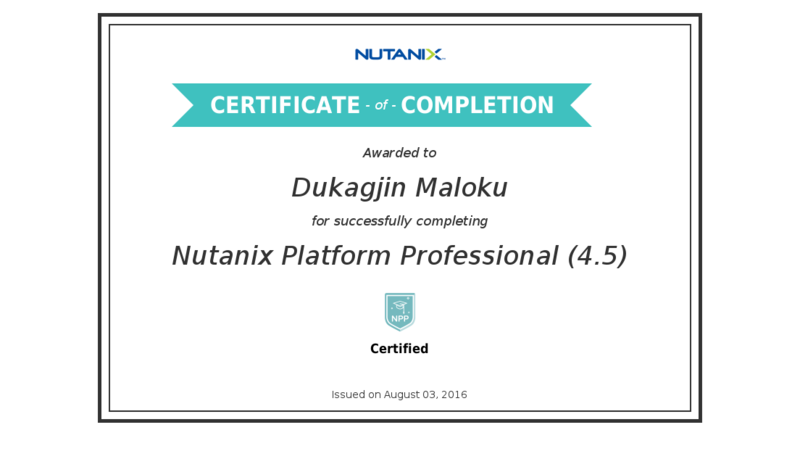 This entry was posted in Cloud, HCI, Nutanix, NutanixNTC, Virtualization on 19/12/2017 by Dukagjin Maloku. I’m very excited to attend the Nutanix .NEXT Conference 2017 in Nice, France that is going to happened next week in the beautiful French riviera. Nutanix .NEXT Conference is now traditional event organized by Nutanix Inc. in US and EU. The conference is valuable with lot of pre-conference acitivities like NPX program and other Educational activities including the most important parts of the high technical sessions for all the day (2 days in row) with amazing announcements in keynote sessions. This year is going to be really interesting while there are lot of the stuff for the future Cloud / Enterprise Cloud, HyperConverged Infrastructure, Cross Cloud, Cross Hypervisor, lot of cooperation between the other companies and Cloud providers like AWS, MS Azure, Google Cloud Platform, DellEMC, Lenovo, IBM, Cisco, Citrix, Microsoft, Splunk, SAP, Oracle, Hadoop, Docker, vmware, Kubernetes, etc. For more details and registration for this great conference you can check here and check the full agenda here. Nutanix .NEXT 2018 in US – get 40% off >> pre-register here. This entry was posted in Cloud, Nutanix, NutanixNTC, Tech Events, Virtualization and tagged Enterprise Cloud, Nutanix, NutanixNTC on 31/10/2017 by Dukagjin Maloku.